After a very tumultuous week that saw their license suspended, a near-complete deal with a potential buyer, and then a class action lawsuit filed by poker players in Nevada, Full Tilt Poker was the epitome of the term “rollercoaster ride”. 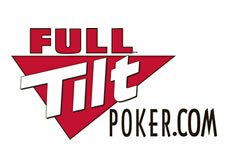 Now the site is on another high as the Aldernay Gaming Control Commission (AGCC) released a statement over the weekend stating that they are in discussions with Full Tilt Poker and a “third party” – most likely the group of European investors who are looking to purchase a majority stake in the company. Alderney Gambling Control Commission (AGCC) is in discussions, all be at an early stage, with its licensees trading as Full Tilt Poker and a third party concerning the prospective refinancing of Full Tilt Poker. The objective of these discussions is to enable the site to re-open to its current and prospective players. Contrary to current reports circulating in the media, AGCC has not authorised any statement by legal counsel in this regard and has no knowledge of the comments attributed by the editor of Gambling City.net to a Mr. Werner Bers, of whom we are otherwise unaware, and disputes the correctness of his statement. This entry was posted on Tuesday, July 5th, 2011 at 8:58 am and is filed under Poker News. You can follow any responses to this entry through the RSS 2.0 feed. You can leave a response, or trackback from your own site.